Sign up for discounts and promotions by checking this box! Thank you for making a reservation! We will confirm your reservation either by phone or email! Specializing in Continental and New American dishes, Head Chef Tom Herter brings a tempting selection of appetizers, entrées and house-made desserts to your table. Enjoy impressive dishes in the historic Lederach Room, our main dining room, or the romantic lounge area with a full bar featuring live music on Friday and Saturday nights. 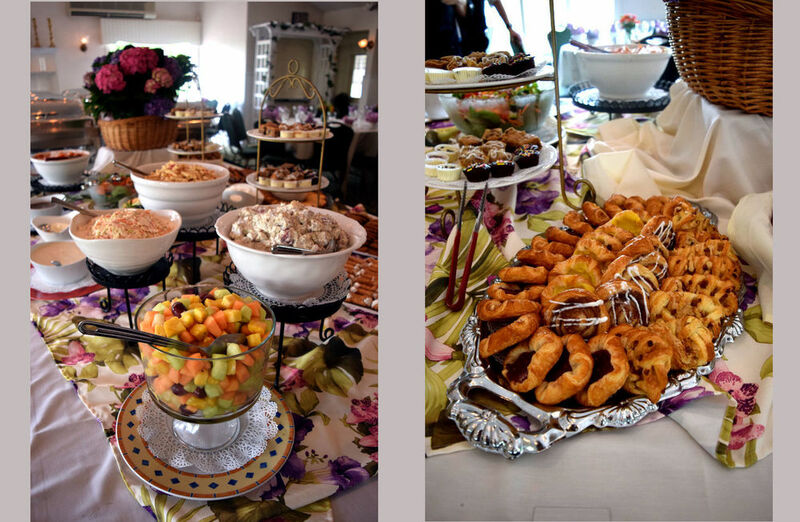 On Sundays we offer an unparalleled buffet style brunch which allows you an endless variety of breakfast and lunch choices as well as the option to custom order dishes fresh from our kitchen. Love is a special thing, let us take you out on that first date with a promotion! Let us celebrate your birthday with a discount! Thank you for signing up to receive special promotions and menu updates from us! We promise that we do not spam, in fact we hate spam! Hiring - Part Time Servers: Apply Here! Thank you! We will look over your resume right away and get back to you about coming in for an interview. Cater an unforgettable affair in the bright and airy Salford room that spaciously accommodates up to 125 people. Tall stately windows and terrace doors offer a majestic view of the magnificent Branch Valley countryside with all of its greenery. Take in a glorious sunset as the sun fades over the distant hills. Then celebrate the evening's festivities in our lavish banquet room. Dine or dance in comfortable elegance assuring a wonderful time for all of your guests. For smaller affairs, up to 25, we recommend our historic Harriman Dining Coach. Escape to the luxuries of train car dining for a night on the original Reading Railroad Train Car attached The Bay Pony Inn. Our Governor's Compartment allows an intimate dining experience for groups of 10-12. What date did you have in mind? We will be reaching out to you shortly ! Admire a romantic vista of rolling hills and gentle green valleys as the backdrop for your special day. 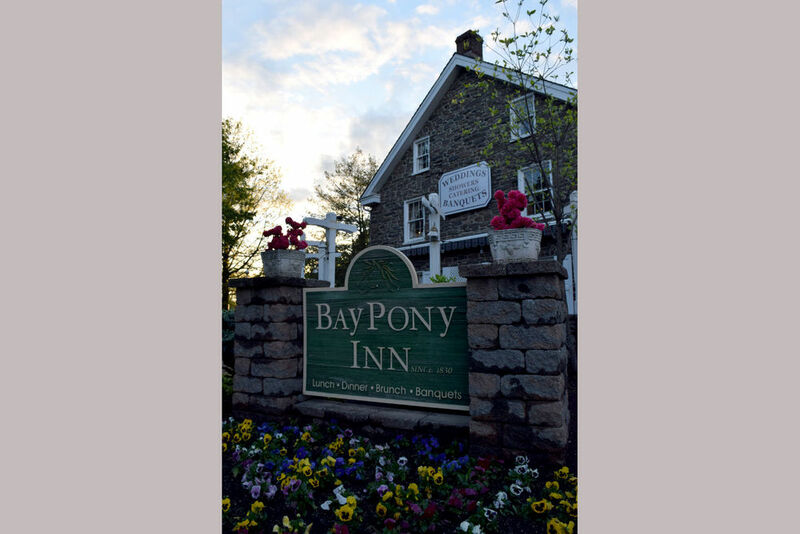 The Bay Pony Inn creates an enchanting venue for your ceremony and reception. Our professional catering staff can assist with selecting your menu, arranging fragrant floral displays, and decorating a beautiful wedding cake. Add your own chapter to our rich heritage, a restored colonial inn that continues to beckon locals and visitors with its classic charm and subdued elegance. Begin your lifetime of happiness at the storybook Bay Pony Inn. We'll have your questions answered before you know it! Innkeepers Eduard and Florence Knechtl combine their gift for hospitality with domestic and international experiences. Hailing from Austria and Singapore but learning their trade in London, they offer you a truly one-of-kind story, so be sure to catch a conversation, you won't regret it! After falling in love while working at the Holiday Inn Hotel in St. George's on the picturesque island of Bermuda they spent years working in four and five star hotels. From Viennese hotels to the Italian Alps to the best Philadelphia and Wilmington have to offer, they have spent a lifetime crafting their hospitality and bring a unique international approach to their warm hospitality. We'd love to celebrate with you! Sign up to receive a birthday discount via newsletter. Love is a special thing! Let us celebrate it with you with promotions for your anniversary. We will only send you emails for special promotions and events so be on the look out!